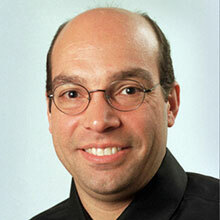 Dr. Iacopino became the Dean of Dentistry at the University of Manitoba in Winnipeg, Canada. Dr. Iacopino has been a consultant and key opinion leader within the dental industry for many years. He also has published 175 peer-reviewed articles and has presented 200 invited lectures internationally. The emerging body of knowledge within oral-systemic science and the changing nature of the healthcare environment are having a dramatic impact on the practice of dentistry. In the coming years (or even months) dental professionals will be required to play a larger role in collaborative healthcare management teams, as community practice continues its transition to an inter-professional care model. 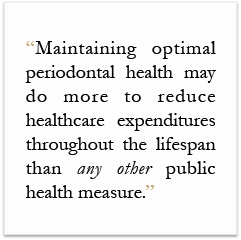 Current estimates indicate that 75% of the North American population has some form of periodontal disease with approximately 15% demonstrating severe disease. These untreated oral infections have systemic effects.